I expanded my dropbox space via a free promotion with my Samsung phone. I'll have the extra space to keep these files uploaded for 2 years, so grab them and mirror them while you can if you are interested. In the .rar was my entire Battle Rondo/Diorama Studio install from before the service went down. I'm not entirely sure how up to date it is but all of the models should be contained thanks to Diorama Studio. People have had varying amount of luck playing with the files, so have fun if that's your thing. Nice. it's been long enough, I had hoped, specially with the anime being a huge success, that someone would make a private server. I can comment on this, at least partially. 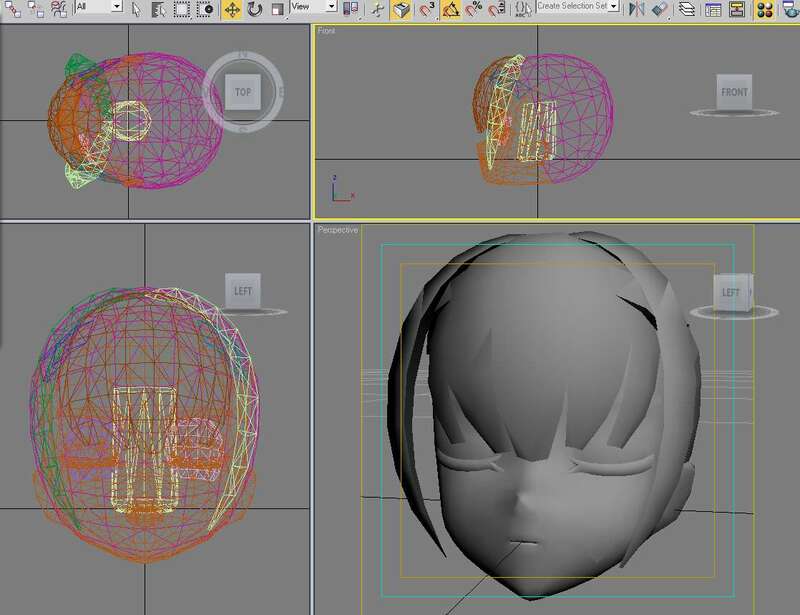 It is possible to import the models with 3DS Max, thanks to a plugin, however it was written for a specific version of the DFF file format, and a specific version of Max. Being that Max is expensive, and the plugin is hit or miss anyway, that's not looking like a terribly viable option, even though it has so far yielded results for other people. 3D Object Converter appears to be able to import the DFF files, but exporting is something for the paid version ($35 USD), and I can't verify that UVmapping for textures or any rigging data for the skeleton is preserved with this option. Noesis is a 3D model viewer/converter that has a DFF raw plugin, but does not seem to work with these files specifically. However, as it is free and the plugin architecture is relatively simple, I will be focusing my further research into a Battle Rondo and Diorama Studio plugin for the models. There is also some documentation on the format, though a little vague and sparse, that was written by GTA3 modders (a game which also uses renderware DFF models). Not all of it appears accurate for Busou Shinki's DFF format version, but some of it does apply. While I can't promise an exceptional amount, I can at least say that "importing these files is far from impossible" and I can go further to say that with the proper version of the proper tools, "it looks quite readily possible." the .bin files for Battle Rondo and Diorama Studio are large archives and can be dumped using a script for QuickBMS. I'm not certain on the exact protocol for availing such information on this forum, as per the rules, just yet but if I find it's ok, I'll share that with you so at least one step of the process will have progress. Much thanks to Sonja for this upload. I had actually registered hoping I might be able to get them for this very reason, so I suppose it all worked out rather well thanks to him. Got the file. Will try to see if some friend of mine can get anything out of it. do you happen to have a link to that pic? i have 3DSMax 2010 installed (and my old own backup of BR/DS as well) so it's maybe posible for me to identify witch versión is the one used... (i think) but anyway, if you manage to contact him/her, let us know! its better to confirm with the original source anyway! It's a possible screen stretcher. I'm not sure if he'll respond, but I can say that there are a few DFF plugins for Max 2010-2012. Do you have the script to unpack the *.bin files? halconfenix wrote: Do you have the script to unpack the *.bin files? what i dont have is authorization... great... do you have any other way to send/show the files? My bad I totally forgot about the pics being unviewable to nonmembers. Hold on while I imgur it. THIS pic should work better for you. Well, anyway, about those .bin files, have you unpacked them into the .txd .dff .rbin .anm files? the script to unpack them is here. save it as a .BMS and use a program called QuickBMS to run it on the .BIN files. That will unpack them into the proper models and textures and such.